There’s nothing quite like a drive down scenic Lakeshore Drive on a sunny day; sparkling blue water on one side, grand homes on the other, the perfect road for a relaxing drive. Recently we noticed a sign inviting the public to an open house at the Grosse Pointe Yacht Club in Grosse Pointe Shores,we couldn’t pass up the opportunity to check it out. 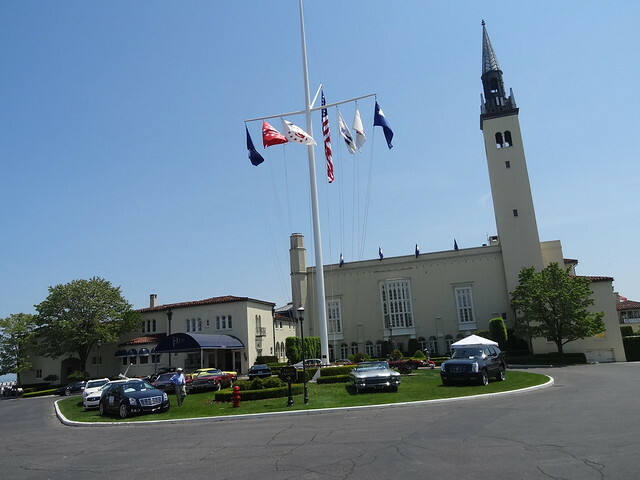 The GPYC is a private marina and sailing club, the Italian Renaissance style clubhouse opened July 4th, 1929; nestled along the Lake St Clair shoreline it is highly recognizable with its 187 ft steeple. 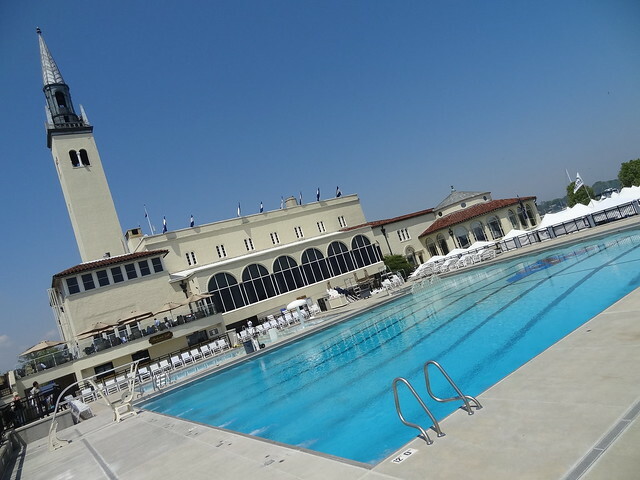 Amenities such as a 268-well harbor, 3 restaurants, 4 bars, an Olympic sized swimming pool, bowling alley and Grand Ballroom have earned it the title “number one yacht club in America” every year since 1997. 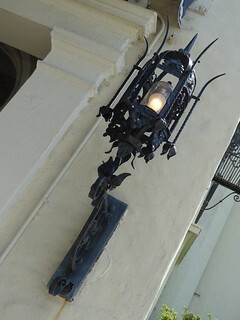 As we pass through the gate the stucco and tile building comes into full view, it’s gorgeous. 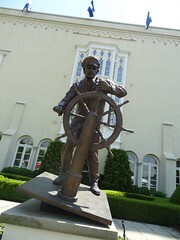 A bronze statue of a captain at the wheel, Rhythm of the Waves by Wheeler Williams stands in the courtyard of the building. 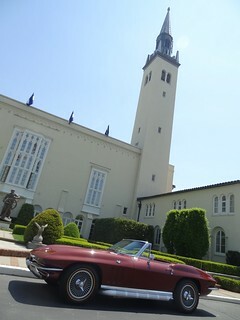 On the lawn is a display of cars, new and vintage Cadillacs look equally at home in the setting. A few muscle cars have also made an appearance ; Plymouth, Ford and Chevrolet are all represented in models such as ‘Cuda, Mustang and Corvette. 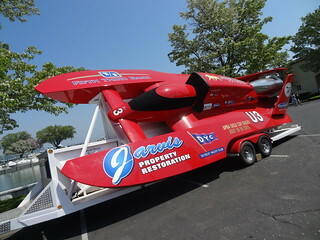 On the left are a couple of boats that will participate in the upcoming Gold Cup Races that will take place in Detroit July 12-14, an array of vintage boats are arranged in the parking lot. It takes a minute or two for my eyes to adjust from the bright outdoors to inside the clubhouse, it is elegant and distinguished. We traverse the foyer to the rotunda, a recessed archway holds a statue of 3 lovely young maidens on a pedestal donated by a club member. To the right is a sweeping staircase that takes us into the Grand Ballroom, today they are serving Sunday brunch, which, by the way, looks amazing. 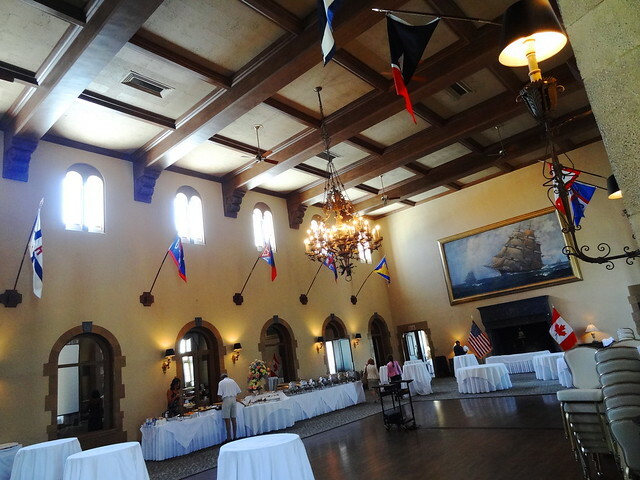 The room itself makes me feel as if I am in a castle; huge windows are trimmed in stone, a massive fireplace anchors the far wall, flags hang at an angle from short poles mounted just below the stunning wood beam ceiling. 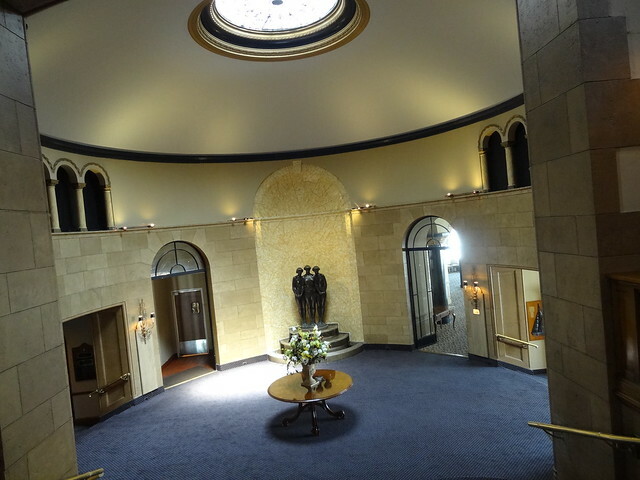 Next we wander into the main dining room; the octagon shaped wood floor supports a gold capped column on each corner, in the center the ceiling forms a dome with port hole shaped windows. 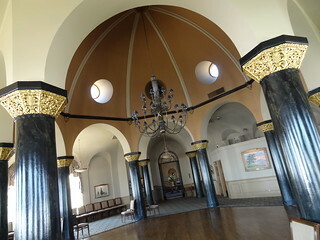 Light streams in from the large windows lining the perimeter of the room, elegant paintings decorate the walls, wow! 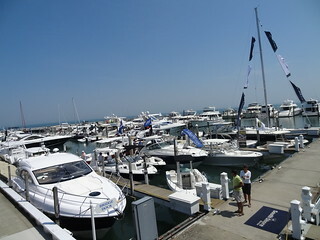 We exit through the back door, I feel like I am at a fancy resort somewhere far away; the sky is a flawless blue, the water in the harbor turquoise and still, boat wells are stuffed to capacity with the latest yachts on the market; this is the Great Lakes Boating Festival. 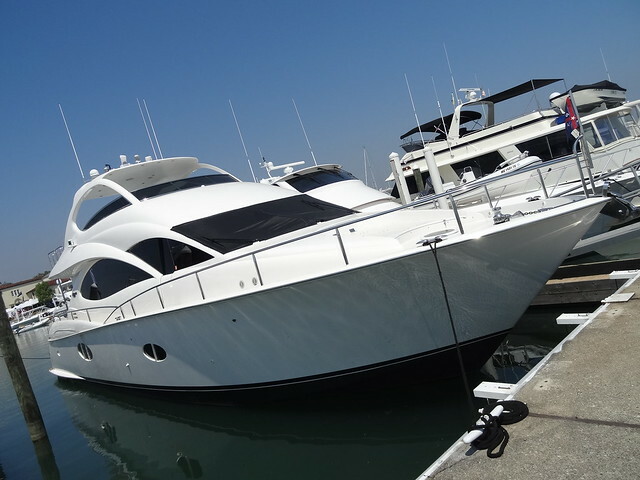 We walk up and down docks, massive yachts are anchored for the weekend, many invite you aboard to check out the latest and greatest in life on the water. 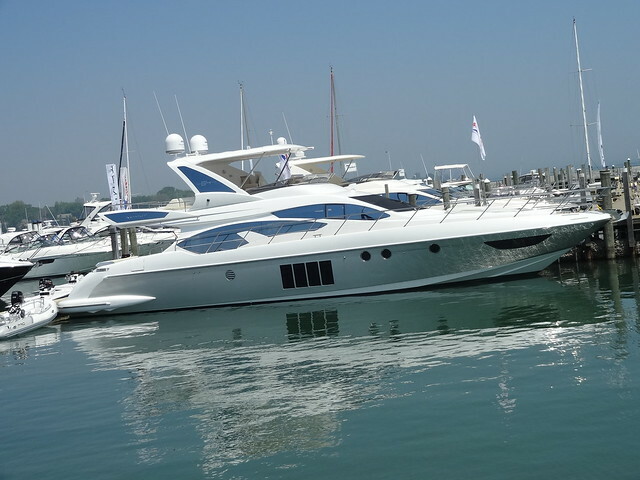 To say the vessels are well appointed would be an understatement! 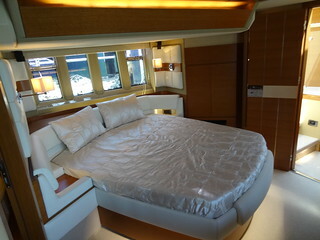 Fine leather upholstery, flat screen TV’s, luxurious bedrooms, the kitchens have more counter space than some apartments. Drawers are custom made and fitted specifically to glassware and silverware, cooktops, microwaves, you name it. 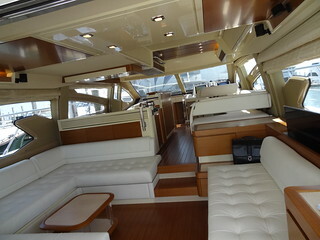 Lounging areas are plush, usually done in light colors, rooms feel open and comfortable. After touring several impressive yachts we walked to the end of the dock overlooking Lake St Clair, from this vantage point it looks as if it goes on forever, sky and sea meeting somewhere out on the horizon. 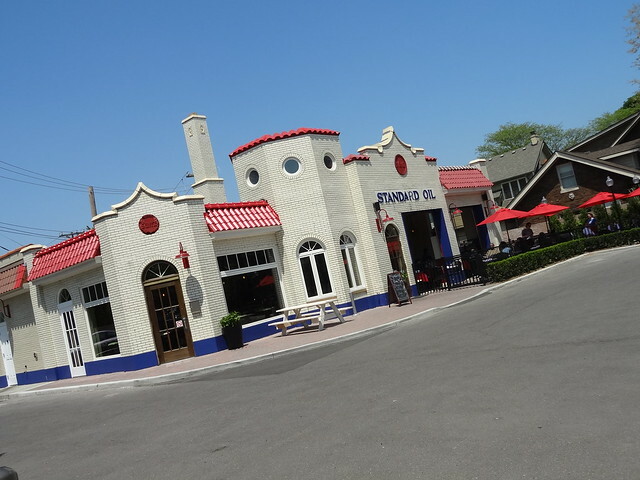 The fresh air and sunshine have built up our appetites, Red Crown on Kercheval in Grosse Pointe Park is now serving Sunday brunch, that’s where we’re headed. Located in a quaint old Standard Oil gas station, the building has been remodeled into a cozy dining space. 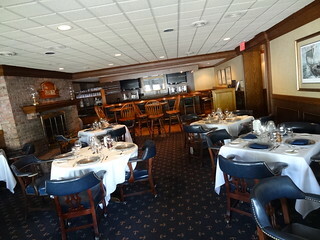 There are a variety of seating options; patio, main dining room and bar. Though all of them look inviting we choose a high-top table in the bar, by the window, of course. They did a wonderful job making the interior feel comfortable and homey, today the large glass roll-up doors are open, a subtle breeze sweeps through the building. The ceiling has been removed from the bar area exposing wood and brick, natural light fills the room. 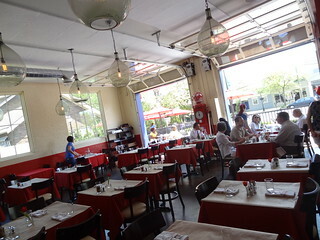 The restaurant serves “American Comfort Food”; meatloaf, fish and chips, brisket, ribs, nostalgic-type dishes. The brunch menu has a little bit of everything; we order the Butter Lettuce Salad, topped with avocado, grilled sweet onion, spicy fried peanuts, maytag blue and tossed in a smoked tomato vinaigrette, it’s wonderful, a great mixture of flavors and textures. 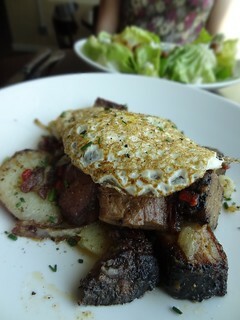 We choose the Smoked Beef Brisket Hash for our entree and we are not disappointed. The brisket is perfectly cooked, fork tender and delicious. Accompanied by caramalized onion, potato and piquillo pepper, a fried egg finishes it off, yum! Adult beverages come in the form of craft cocktails, craft beer and craft wines, today PBR is also on special. 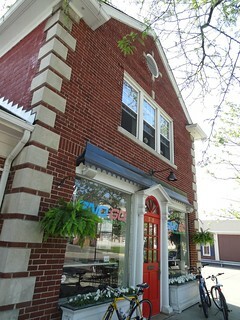 Red Crown is a great addition to the charming business district. With the temperature in the 80’s we decide to cap off our afternoon with ice cream, there’s a new place over on Fisher Rd called Sno Go, we’re going to give it a try. Located in a cute little red brick building, the interior walls are covered in photographic murals of snow covered mountains. Excited patrons have the run of the place; cups are available in 3 sizes, the rest is up to you. 10 flavors of frozen yogurt and custard are dispensed at the back wall, if you think it’s hard choosing a flavor (or two), wait until you see the selection of toppings. Similar to a salad bar a dozen or so items such as cookie dough, snow caps, Heath Bar, Whoppers and the like are chopped into bite-size pieces, mounted along the left wall you will find bins of sprinkles, nuts, gummy bears, pretzels and such you can add to your cup. 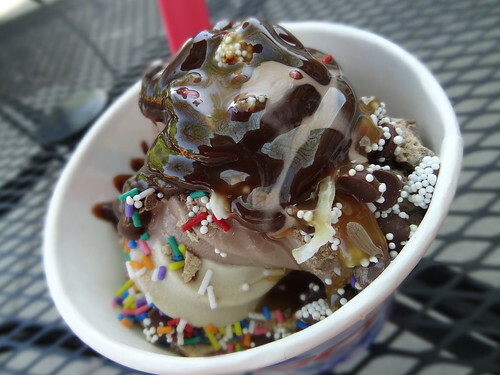 You’re not done yet, your creation isn’t complete without a little hot fudge, caramel, peanut butter or butterscotch. I saved the best part for last: containers are a flat price, pick the $2 cup, and when you get to the register it’s $2, no scales, no surprises here. We fill our cup with an assortment of ice creams and toppings, we have a seat outdoors and dig in, oh yeah, we’ll be back! UPDATE: I am sorry to say Sno Go is now closed.